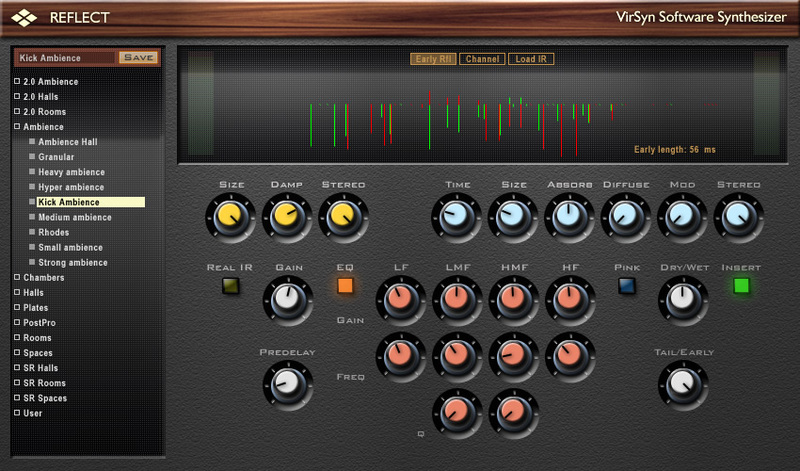 Reflect by VirSyn is a Virtual Effect Audio Plugin. It functions as a VST Plugin, an Audio Units Plugin, a VST 3 Plugin and an RTAS Plugin. Reflect is an algorithmic reverberation plugin that combines the flexibility of vintage algorithmic reverbs with the sonic quality of convolution based reverbs. The creation of high quality reverb needs a realistic simulation of the important early reflections together with a smooth and colorless reverberation tail. The early reflections are the most important clue for the human ear to get a feeling about the dimension and character of a room. Most algorithmic reverbs offer a number of different algorithms to simulate different natural rooms like chamber, halls or artificial ones like plates. Reflect uses impulse responses from real acoustic spaces and classical reverb algorithms to emulate their acoustical properties. 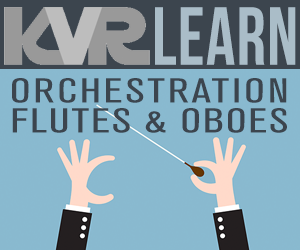 VirSyn claims that the resulting reverberation sets new standards in clarity and sense of space. Import of early reflections from impulse response files. Easy user interface "one page only".